Highclere is a village that lies in the northern part of Hampshire County, near the Berkshire border. 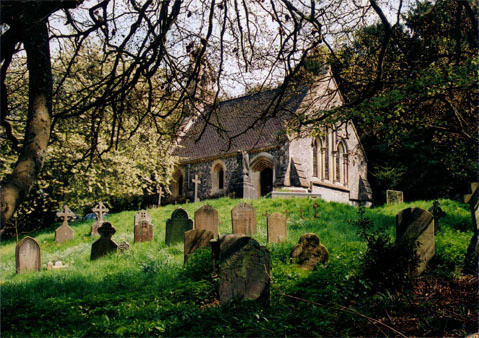 While it is most famous for being the home of Highclere Castle, it is also the address of the Highclere Church, which was the alleged habitat of one of the strangest cryptids ever recorded. While there’s not much of a written record concerning this unique beast, what has been passed down through the centuries are eyewitness accounts of a strange, wheezing animal that was said to resemble — at least on the surface — a dolphin or porpoise. What’s even more odd is that, unlike its ostensibly marine mammalian kin, the Grampus was said to dwell in the branches of an ancient yew tree located in the Highclere Churchyard. While the Grampus was not considered to be a particularly dangerous vermin, it did manage to terrify locals by emitting a disturbing cacophony of guttural noises and, even more alarmingly, chasing anyone – primarily, it would seem, young women — foolish enough to wander too close to its domicile. What method of locomotion it used to propel itself in these pursuits remains a mystery. Needless to say the Highclere natives believes this bizarre beast to be a denizen of the hell, and they promptly enjoined a local clergyman to help rid them of what they perceived to be a demonic entity. The anonymous clergyman agreed and through the rite of exorcism — by means of bell book and candle — managed to banish the beast into the Red Sea for a period of no less than 1,000 years. To anyone familiar LAKE MONSTER lore this story is amazingly similar to that of famed Christian missionary, St. Columba. On August 22, 565 A.D., St. Columba was said to have prevented the LOCH NESS MONSTER from devouring one of his acolytes through the use of prayer. 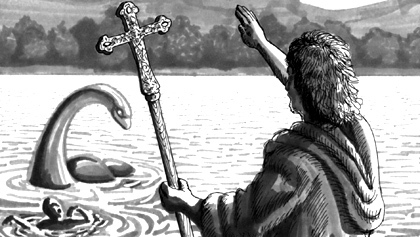 While there can be little doubt that the tale of St. Columba banishing the monster smacks of early Christian dogma, many researchers are now convinced that the core of the story is based on an actual encounter with one of Nessie’s ancestors. Perhaps the same holds true of the Grampus. The Grampus was also said to have a tendency toward heavy breathing or “blowing like a whale.” This may account for the creature’s name. In the 1893 opus; “A Journal of natural philosophy, chemistry and the arts, Volume 21,” author William Nicholson refers to the predatory orca or killer whales as “grampus.” Others have even suggested that the old expression “puffing like a Grampus,” was inspired by the beast. 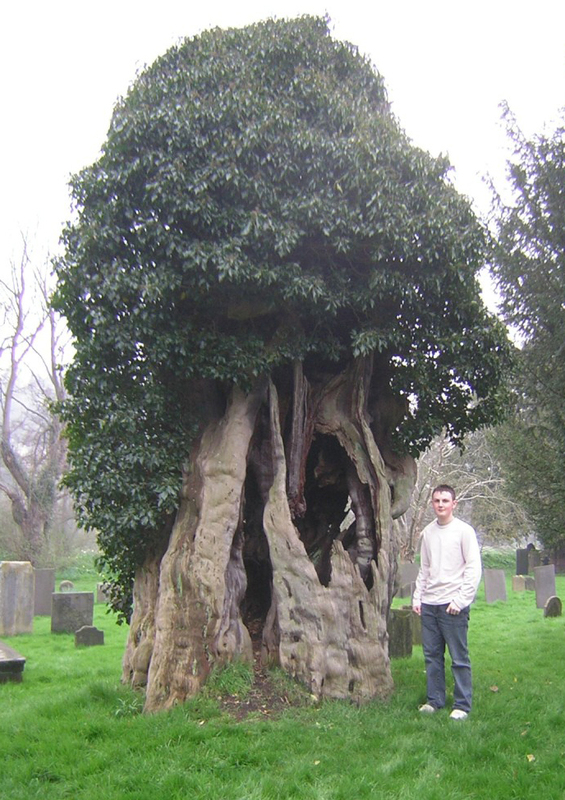 While this brief account does not contain any new information on the Grampus, what it may help to illuminate is what period of time the beast actually lurked in the yew tree in the Highclere Churchyard. Northcote indicated that this fiend’s banishment lasted merely 100-years – which may be a typo – but most accounts agree that this beast was cast out for no less than millennia. Assuming that the 1,000 year exile is accurate, that would place the Grampus’s tenure in the yew tree in Hampshire County at somewhere in the order of the late 9th century A.D. 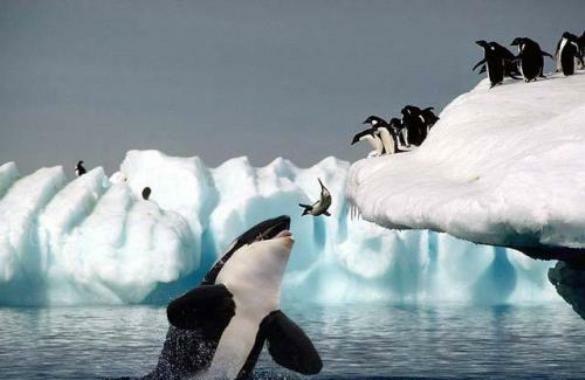 In Japan Grampus is a common alternative way of describing a killer whale. The kanji character for grampus can be interpreted in two ways; one reading is “shachi,” which is the Japanese for grampus. The other interpretation is “SHACHIHOKO,” which represents a monster with the head of a tiger and the tail of a carp. 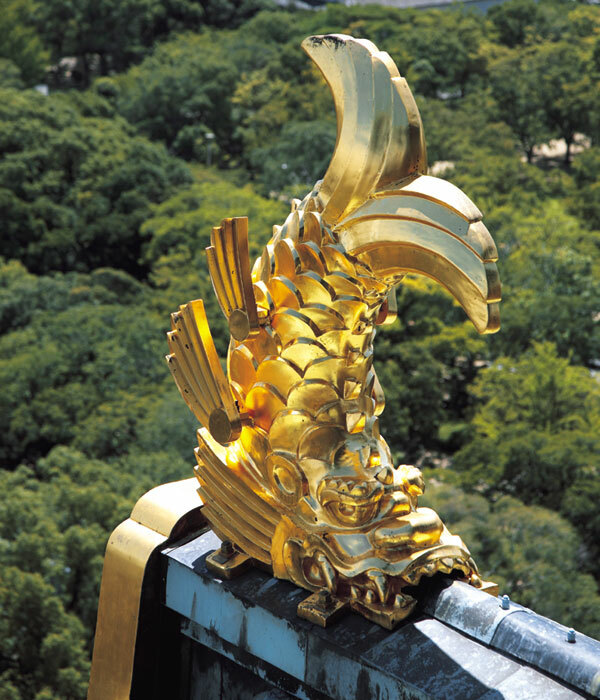 A gold-plated pair of these beasts adorns the top of Nagoya Castle in Japan. Whatever this UNCLASSIFIED creature was, there seems to be nothing quite like it in either the annals of zoology or cryptozoology. Perhaps it was a bizarre evolutionary offshoot of the porpoise looking to reclaim the land as its ancestors, such as the cold water predator known as the Ambulocetus, once did. It might also be worth considering whether or not this creature may have been related to any number of AQUATIC ENIGMAS — like the KELPIE or the EACH-USIGE — which are said to dwell in the British Isles, or even Ireland’s notoriously voracious DOBHAR-CHU. Next articleFAMED AUTHOR BELIEVES IN “BRAIN EATING” YETI!